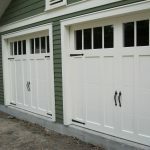 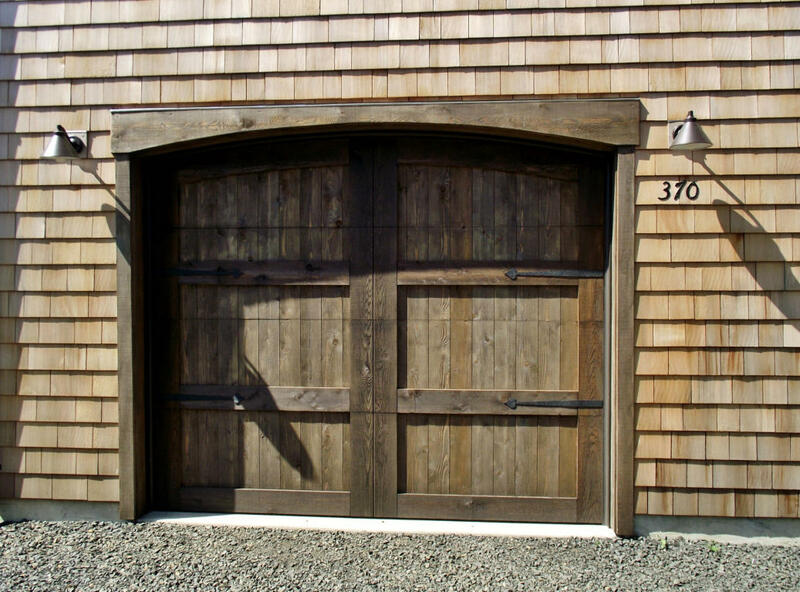 Craftsman style garage doors perhaps look more interesting for some people whose anti-mainstream garage style. 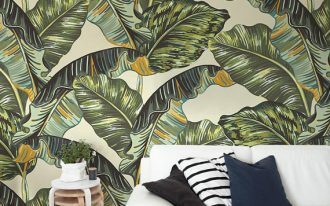 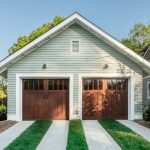 If you see outside, most people today love contemporary or even modern minimalist style applied on almost part of living house, include the garage. 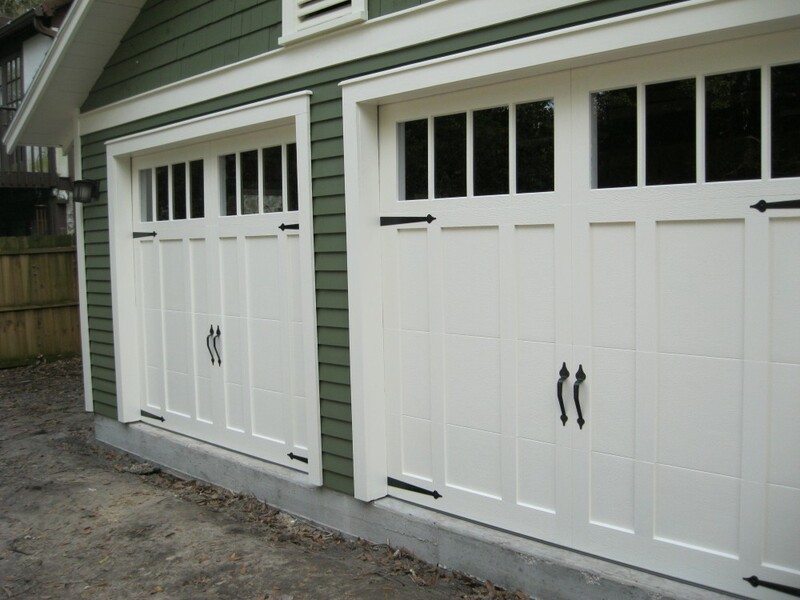 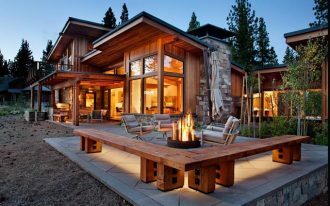 It will be so different if craftsman garage door is installed among of ranges of modern minimalist garage units owned by people around. 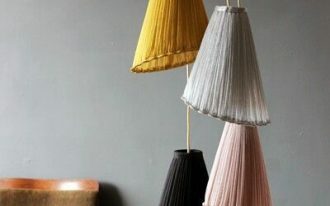 Different is beautiful and unique, right? 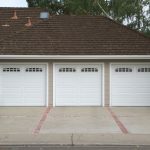 Yours will be most recognized because you can use it as the sign or identity when your friend is searching for your address. 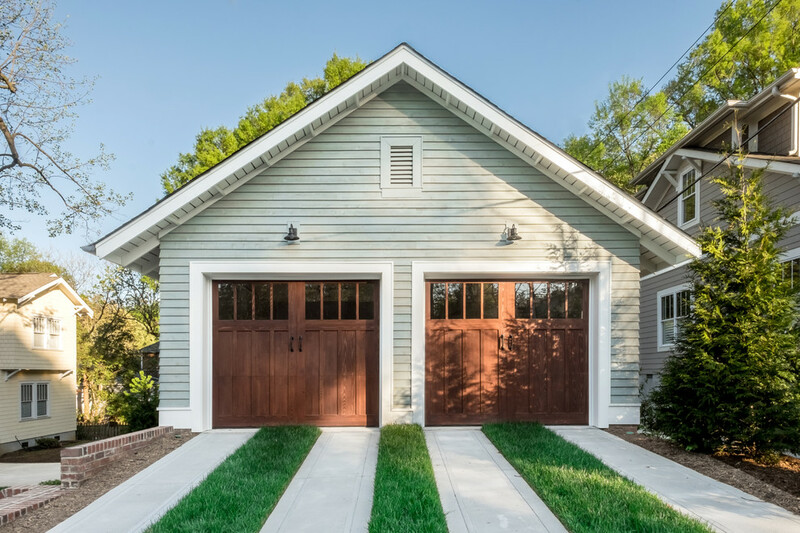 Craftsman style garage doors have special characteristics such as traditional look, crafted board/ wood panels, and laminated or brushed finishing choices. 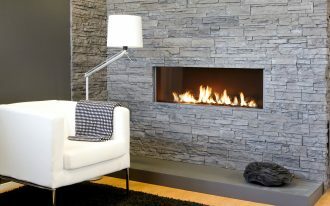 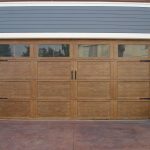 Wood panels offer warm welcome sensation for everyone seeing them. 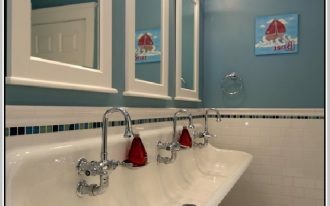 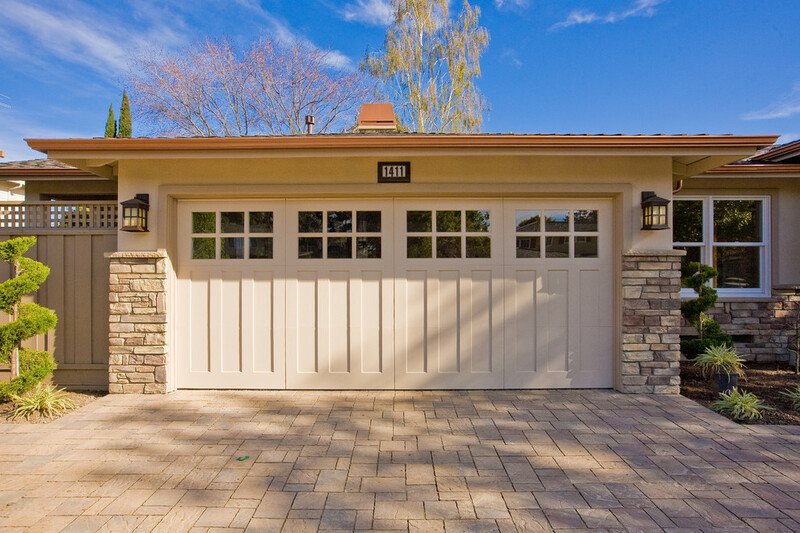 It will be more attractive if you add some personal touches such as wall-lighting fixtures which are placed on both sides of wall, unique garage door handle, or even the additional feature for garage door like attractive top. 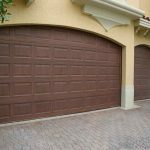 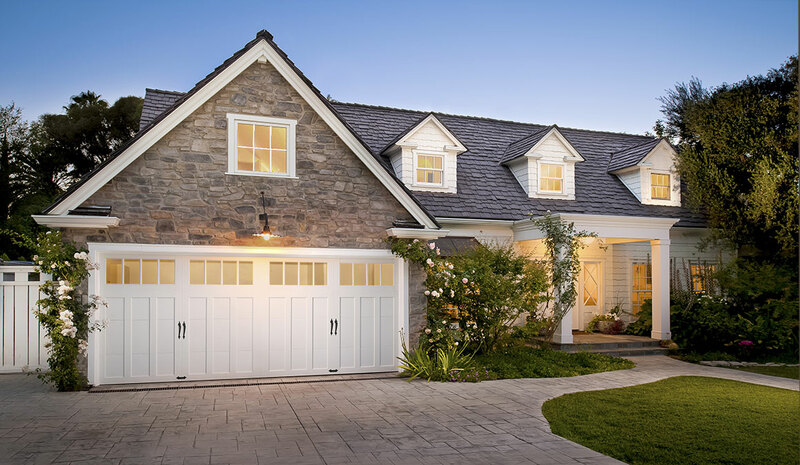 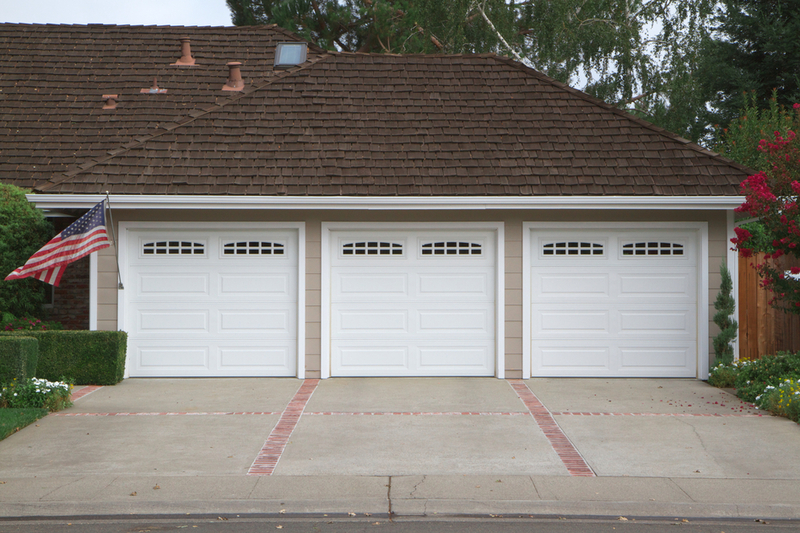 Generally, there are four types of garage doors: closed-open garage doors, folding garage doors, up-down garage doors, and sliding garage doors. 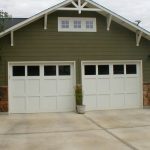 Craftsman style garage door are manufactured in all these types. 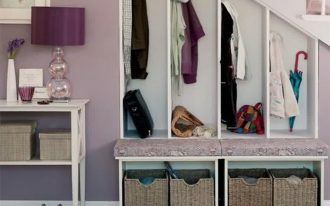 So you can choose a type most suiting your need and preference. 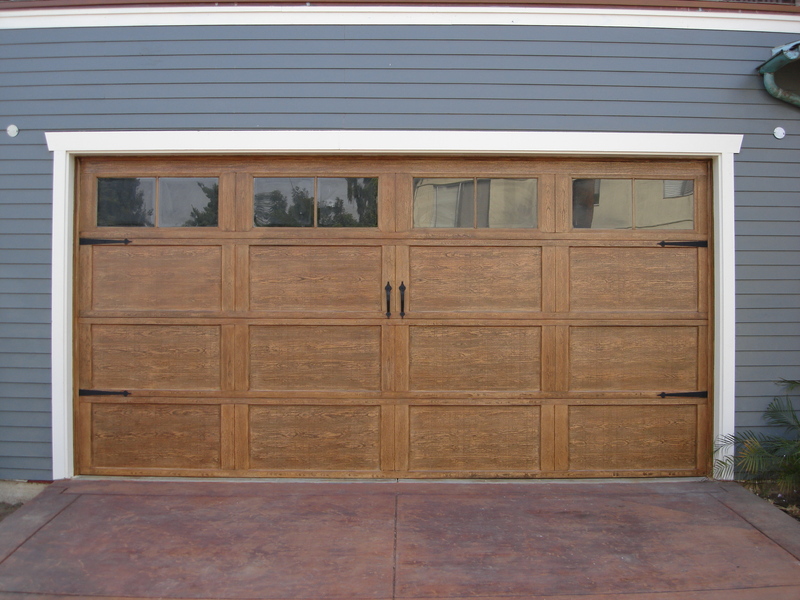 As craftsman style garage doors are built from wood materials, make sure that you give the best maintenance. 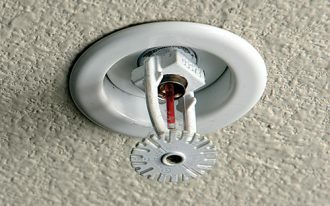 Give best finishing to prevent them from termite attack, moisture, and mold. 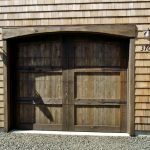 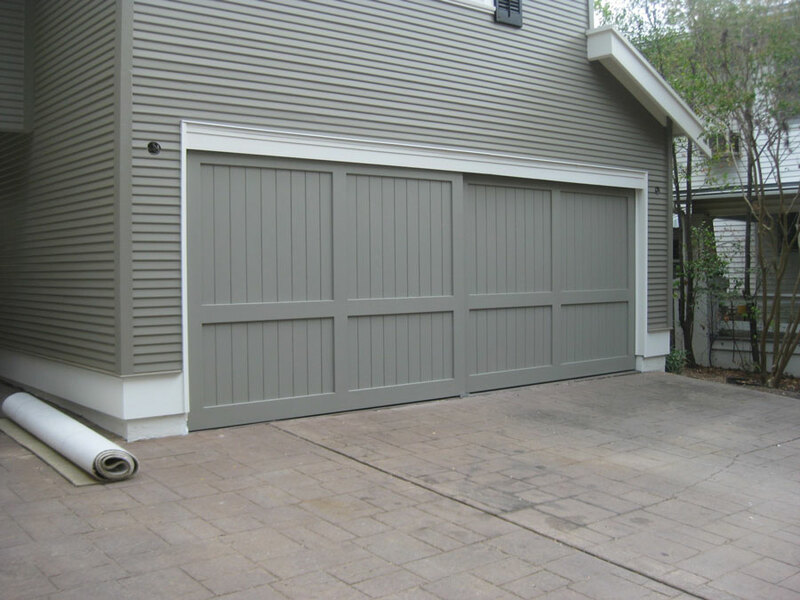 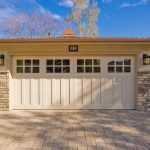 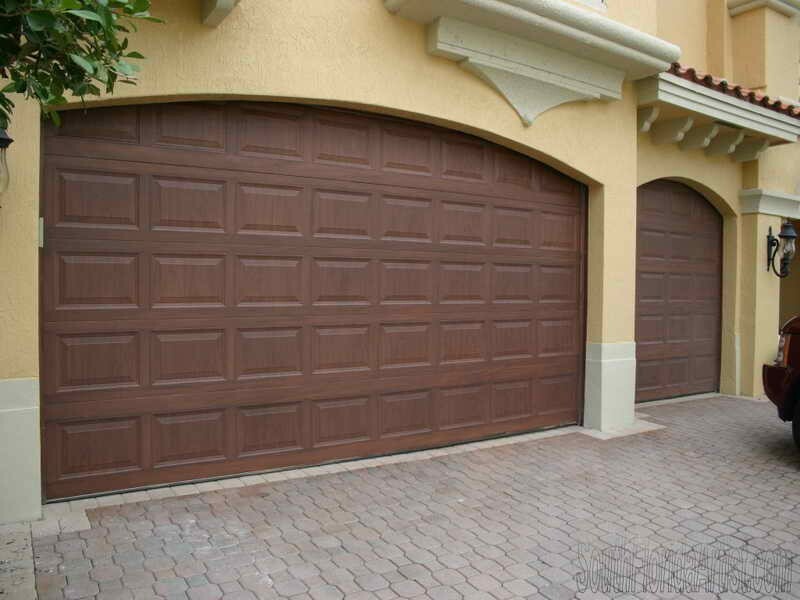 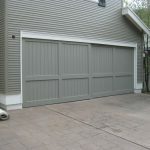 The color of garage doors should be matched with the traditional style (it might be natural wood colors such as brown, light brown, and dark brown). 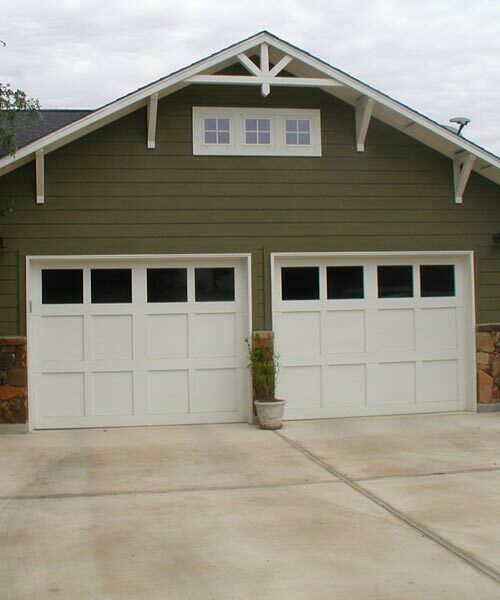 Other colors are permitted if you are going to create different accent or to give special focal point to your craftsman style garage doors.